Data recovery isn't a lost art, but it can find lost art. 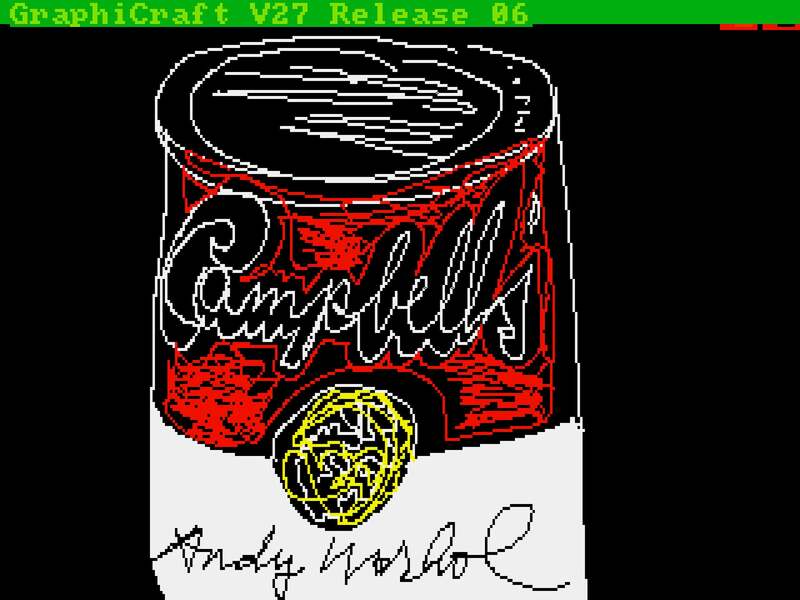 Case in point: The Andy Warhol Museum announced on Thursday that it has recovered a series of forgotten doodles, pictures, camera shots, notes, and more that belonged the iconic artist—works that have been trapped an Amiga 1000 computer's floppy disks since 1985. And it's all thanks to a YouTube video. 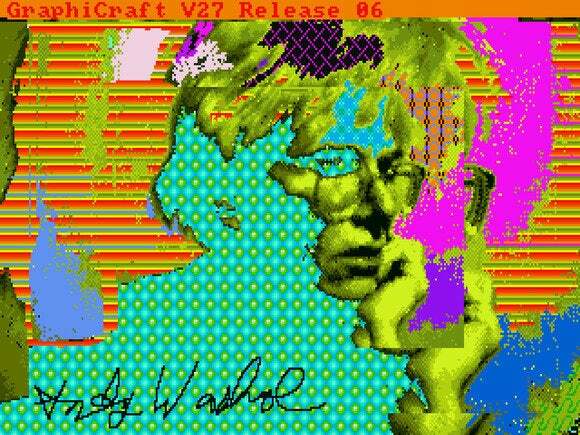 Commodore paid Warhol to help promote the Amiga 1000's graphical prowess. The Andy Warhol Museum had until this point managed to preserve the disks, but not the individual files themselves, as they were stored in "an obsolete format" that today's Amiga's emulators couldn't parse. One of Warhol's iconic Campbell's Soup images, created in Amiga's GraphiCraft. Unearthing the files was no small feat, involving an undescribed "complex recovery process" performed by Carnegie Mellon University's Computer Club and numerous Warhol Museum staffers. The whole ordeal was kicked off in 2011 by artist Cory Archangel, who contacted Carnegie Museum of Art curator Tina Kukielski after viewing the following YouTube clip of Warhol "painting" Blondie singer Debbie Harris at the Amiga 1000's launch event. The duo reached out to the Warhol Museum's chief archivist, Matt Wrbican, and the ball began rolling. 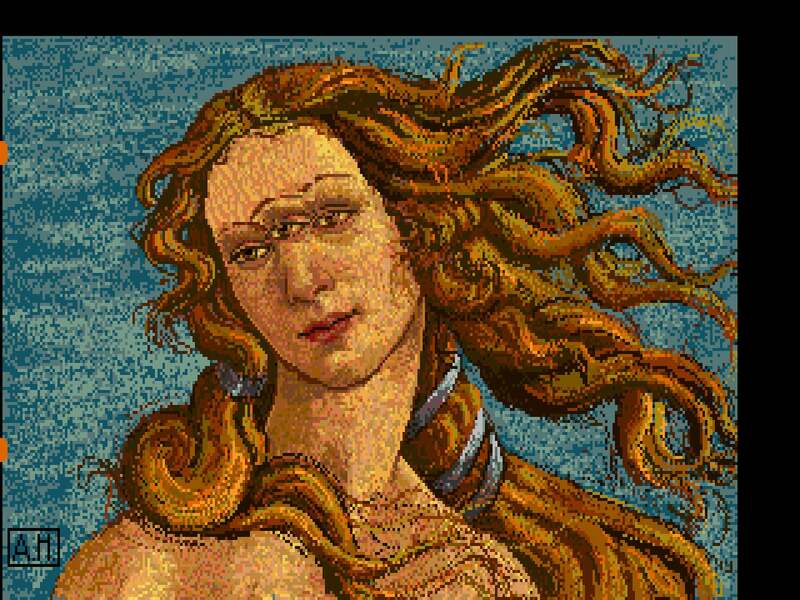 A three-eyed Venus rendering found on the Amiga floppies. Interested in seeing just how the group of computer geeks and archivists were able to breathe new life into art stored in a dead format? The entire ordeal was videotaped as part of CMU's Hillman Photography Initiative. The resulting film— Trapped: Andy Warhol's Amiga Experiments—will be shown at the Carnegie Library lecture hall in Pittsburgh on May 10. The documentary will appear online at http://www.nowseethis.org/ shortly thereafter. Between now and then, be sure to check out PCWorld's visit to DriveSavers, a leading data forensics and recovery company.